Ever since bursting onto the cricketing scene, England opening batsman Alastair Cook has been scoring runs at a feverish pace, and many cricket pundits thought that it was only a matter of time before he would lead the country in Test cricket. Cook served under Andrew Strauss for over a year and learned the hardships of being a great captain, and with Strauss recently announcing his retirement from international cricket, Cook will be put to the test during his first Test series against India in October. As of right now, Cook is still astounded by the rapid rate of ascension he has experienced and is hoping to make his country proud during the his first Test series as captain. Cook stated that he had no idea Strauss was going to retire, and still believes he inherited the captaincy a bit too early. “Yes I think it has. It’s been a bit of a strange 24 hours for me personally. I’m incredibly proud to be sitting here now as captain of England, it’s a huge honour for me. I’m very excited about the challenge,” Cook said. Strauss was one of the greatest captains England ever produced, as he won 24 out of his 50 Tests during his captaincy, lead England to back-to-back Ashes series victories against arch-rivals Australia in 2009 and 2010-2011 and kept the country ranked as the top Test team for over a year. England were demoted to the number two Test team after a disappointing 2-0 Test series loss against South Africa, who replaced England at the top of the Test team rankings. “Obviously I’ve got huge boots to fill following Straussy, he’s done an incredible job. Speaking for the players, it was a sad dressing room when we found out. I think that speaks volumes for Straussy and what he has done for the side,” Cook said. With Strauss retired, England are going to have to find another batsman to open with Cook, which is going to be anything but easy. “You take people for granted don’t you?, Andrew’s played 100 Test matches and scored 7,000 runs. It feels like all my England career I’ve walked out to bat with him. 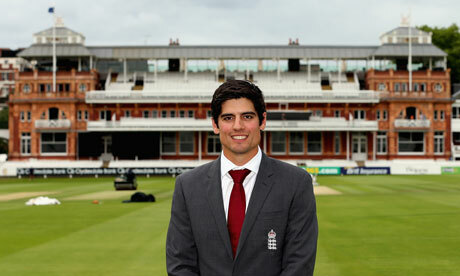 That’s a huge hole to fill and that’s a huge compliment to Andrew Strauss,” Cook added. Even though the England team still look formidable after losing their number one Test team ranking, Cook stated that the team have to play at their best during every match since none of their upcoming series are going to be easy. “We’ve got India away and we’ve got two Ashes series in the next 18 months. We have got a lot of cricket to play and hopefully I can do a good job,” Cook added. Strauss’ retirement has also thought to be spurred on by the ongoing Kevin Pietersen saga, where Pietersen sent derogatory messages about Strauss to South African players during the Test series. Since sending the text messages, Pietersen has been in exile from the England squad and the England and Wales Cricket Board (ECB) have hinted that his international might be over as well. “I’ve been on the outside for a lot of the saga, the issue hasn’t changed. Clearly I’ll get involved over the coming weeks,” Cook said. This entry was posted in Uncategorized and tagged advice, Alastair Cook, Andrew Strauss, ascension, Ashes, astounded, Australia, captain, cricket, cricket pundits, derogatory text messages, early, easy, ECB, England, exile, formidable, hardships, India, Kevin Pietersen saga, lead the country, open, South Africa, top Test team. Bookmark the permalink.